Great UI to build and manage IVR applications. Good analytics and reports that detail customer journey. Ease to manage phone number. knowledge of VoiceXML is required to create more complex IVR applications. knowledge of speech rec is required to build conversational dialogs. Founded in 2000, Plum Voice has been delivering the necessary tools your business needs to improve voice communications in multiple ways. While they do not offer an entire call center software platform, Plum Voice does offer solutions that any business can utilize to boost their call center’s performance and efficiency with a Cloud based IVR, intense data and analytics, messaging and even artificial intelligence. Plum Voice serves medium to large sized businesses across the world with data centers in both the United States and Europe. Products by Plum Voice include a development platform to build your own custom solutions, simple drag and drop IVR, in-depth customer surveys across all omnichannel platforms, and intense analytics and reporting to help measure every aspect of your voice system. Enable developers to build voice applications for highly interactive customer self-service and communications-enabled business processes. Make IVR easy with a drag-and-drop interface to configure and customize the entire platform. Omnichannel surveys to help close the customer feedback loop and provide your business with new insights linked directly to each interaction. 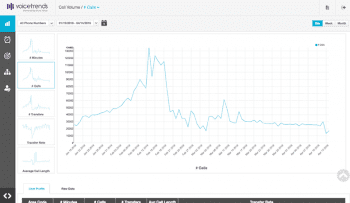 Advanced analytics and reporting designed specifically to measure the performance of voice applications. It would be selling Plum Voice short to say they simply offer complimentary voice solutions and platforms. Plum Voice does much more, offering the products any business can utilize to revolutionize their communications and even business processes. Their Cloud IVR solution enables your call center to not only organize and direct calls to the appropriate department or agent, but also provide self-service options to automate the entire support process. In fact, Plum Voice also offers what they call a “Self-Service IVR” dedicated to specifically automating phone calls. Plum Voice also supplies your business with the necessary tools to gain new insights into the data that is being collected, both on the agent side and the customer side as well. 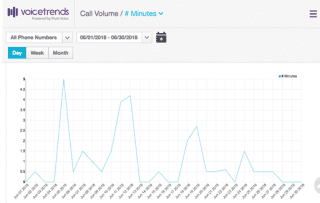 Managers can utilize VoiceTrends to learn more about the performance of their call center through graphic representations including call volume, event tracking, and application performance. Voice Plum also offers a unique Plum Insight omnichannel capable customer survey platform, allowing your business to leverage customer insight to improve the overall experience. 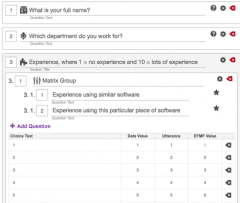 Plum Insight also automatically links each survey to the exact interaction that inspired it, for an extra level of accountability. What’s truly unique about Plum Voice’s platform is their Plum Dev offering, which provides businesses with the tools they need to create their own powerful, custom voice applications. However, not only does Plum focus on customer facing communications, but communications-enabled business processes as well. This provides your in-house developers with some very powerful tools, enabling them to customize every aspect of your voice applications including branding, call-flow and more. All of Plum Voice’s solutions are backed by their 100% uptime guarantee, and the provider will even enter a Service Level Agreement on top of it. With 3 data centers located in the United States, their network is fully redundant, and a single data center in Europe provides Plum Voice with a strong international presence, making them ideal for both companies solely in the U.S. but even those with an international presence. What Do You Think of Plum Voice?